The good news is, tongue scrapers can quickly and efficiently remove extra particles from the surface of your tongue. They are inexpensive and can be found at many drug stores or online sites. They can be made of plastic or different metals (copper, stainless steel), both effective in removing debris from the tongue. However, plastic tongue scrapers are typically cheaper but may not last as long. Your tongue can also be cleaned with a regular toothbrush, however, research has reported that a tongue scraper is more effective at removing volatile sulfur compounds, the common culprits of causing bad breath, from the tongue than using just a soft-bristled toothbrush on the tongue. So, after brushing the surfaces of your teeth with a toothbrush and flossing, add a tongue scraper to your morning and evening oral hygiene routine to help enhance your dental health. Bad breath is never fun to deal with, and can take a toll on a person’s relationships and self-esteem. In addition to brushing your teeth, tongue scraping has been found to remove the oral bacteria that typically causes bad breath. The build up of debris often leads to taste buds becoming less effective. By removing the debris from the tongue, you are better able to taste bitter, sweet, salty, and sour sensations. Tongue scraping can help prevent toxins from being reabsorbed into your body and help improve your immune system. It has been found to lower the presence of Strep. Mutans and Lactobacilli bacteria, which are known to cause tooth decay and bad breath. 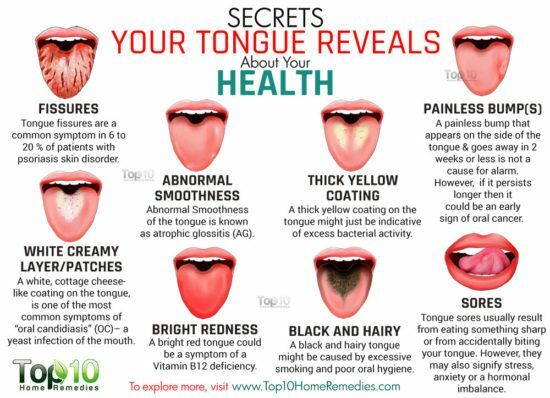 Sometimes the buildup of debris can cause your tongue to have a white coating, which tongue scraping can help remove and restore your tongue back to its normal pink color. To perform tongue scraping, stick your tongue out and place the tongue scraper at the back of your tongue and gently scrape forward along the surfaces of your tongue as often as needed. One to two scrapes in the same area typically suffices. After each scrape, you can use a water or tissue to remove the debris from the scraper. Try to avoid placing the tongue scraper too far back to prevent stimulating a gag reflex. Also be mindful of how much pressure you are applying when tongue scraping. Be sure to use gentle strokes to avoid causing any harm. The entire process typically takes less than 2 minutes and can be done throughout the day, especially after meals is a great time. Be sure you are keeping up with brushing at least twice a day for at least two minutes, flossing at least once a day to remove plaque and food particles from hard to reach areas in-between teeth, and keeping up with regular dental visits. It is important to drink a lot of water, which will not only help prevent dry mouth, but also help eliminate bad breath. If you notice any white patches in your mouth or unusual discoloration, bumps, or sores, be sure to let your dentist know so that it can be evaluated. This may be a sign of oral thrush or other conditions such as those pictured below, which can be managed under your dentist’s supervision.